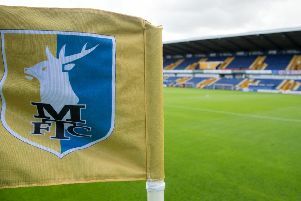 Although concentrating fully on the play-off race, Mansfield Town boss Steve Evans is building a wanted list for next season – with the players on it top end League One standard as a minimum. “I think about it every day, but it doesn’t mean you do anything,” he said. “You are adding people in every day as you go round watching lots of games. “We are just keeping focused. A lot will depend on what level we are at, League Two or One. “So things might slightly change, though not massively as, if you have to get out of League Two you have to sign top end League One or Championship players – that’s the strategy. “If you want to get out of League One you have to sign Championship players. You’re never going to get the Premier League boys. But, as far as his talented loan players are concerned, he stressed he can do nothing about next season until he knows their futures in the summer. “I couldn’t care about it,” he said. “They’ve come here and signed until the end of the season. “Each of the loan players, particularly Shaq (Coulthirst), Hayden (White) and young Ben (Whiteman) have been absolutely terrific for us. “We will think about that at the end of the season. “We have to let them at the end of the season go and talk to their respective managers and permanent clubs and see where their future lies.